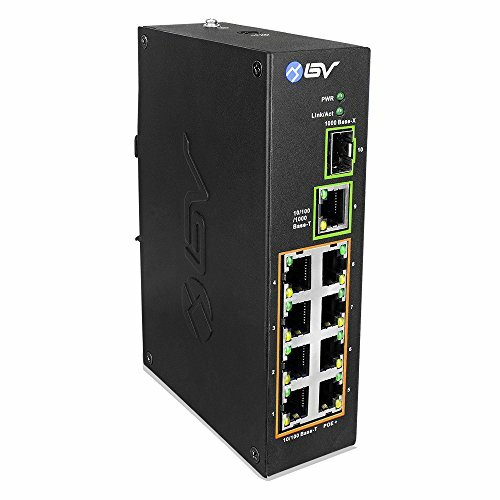 The POE-SW802-DIN is an unmanaged 10-Port Power over Ethernet Switch with a total of 96 watts of PoE power. All PoE ports run at 10/100Mbps and can provide up to 30W per port through the IEEE 802.3at standard. It also has one Gigabit SFP and one Gigabit Ethernet uplink port to allow for communication without sacrificing any PoE ports.